"Bring one of your cats as a sidekick." After debuting at the SXSW Film Festival earlier this month, a second trailer for Paul Feig's latest comedy, Spy, has just come online. Melissa McCarthy is in the lead role, and while the first trailer had me on the fence, I'm starting to warm up to this one a little bit. There's still some goofy, slapstick comedy, and McCarthy is still being crass and rough around the edges, but here's some good lines here. At the very least, this will bring some laughs because it looks like Jason Statham is going to steal the movie. And if you want to see the movie early, there are some surprise, free advanced screenings around the United States that are happening tonight Find out more right here. Watch below! You can still watch the first trailer for Spy right here. 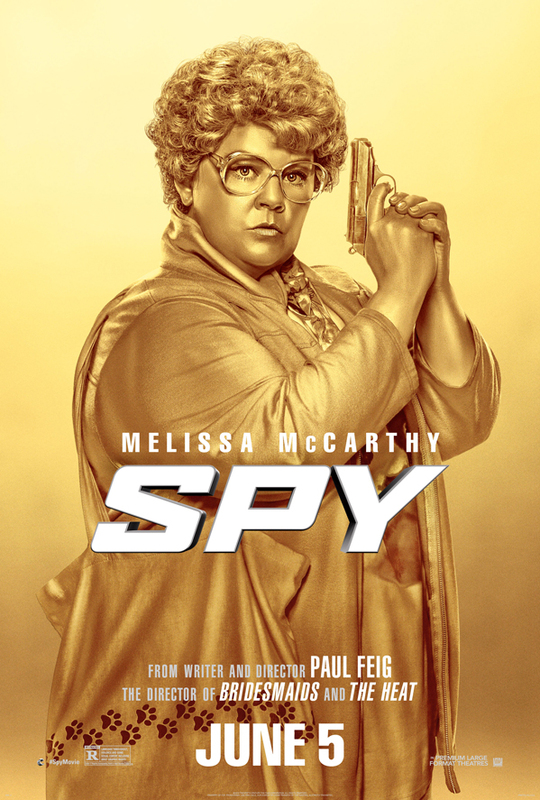 Spy (formerly known as Susan Cooper) is written and directed by Paul Feig (Bridesmaids, The Heat). Susan Cooper (Melissa McCarthy) is an unassuming, deskbound CIA analyst, and the unsung hero behind the Agency's most dangerous missions. But when her partner (Jude Law) falls off the grid and another top agent is compromised, she volunteers to go deep undercover to infiltrate the world of a deadly arms dealer, and prevent a global disaster. Jason Statham, Allison Janney, Bobby Cannavale, Peter Serafinowicz and Rose Byrne also star in the film 20th Century Fox releases this summer on June 5th. Anyone interested? I just hate Melissa McCarthy. Sorry. Hard pressed to see one of her flicks after Tammy. That trailer looked funny as hell, movie... train wreck. Variety already reviewed this film and the review was very positive. Anyway, love Statham's cat joke. Definetly seeing this! Such a great spy she would make. She is a true international woman of mystery. I'm lost on this one. Probable result of it is: no! Thanks for sharing this! I managed to watch it yesterday here in Boston - it was surprisingly good!